Welcome to Burgess Steeplejacks. My name is George F. Burgess, Jr. 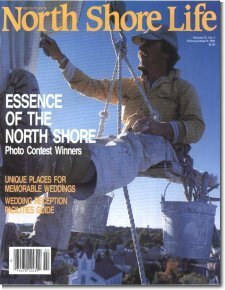 I am a third generation steeplejack from Rockwood, Maine. I started my company in 1976 upon graduation from college and specialize in top quality restorations of church steeples and towers. From expert surface preparation and painting to slate repairs and gold leaf application, my goal is to provide my customers with a finished product we both will be proud of. Attention to detail is critical for the longevity of any project. I will spend the necessary time and effort on each and every aspect of the job. Whether it is scraping, sanding, refastening loose woodwork, caulking, etc., I will ensure that the end result will exceed any architectural performance specification.